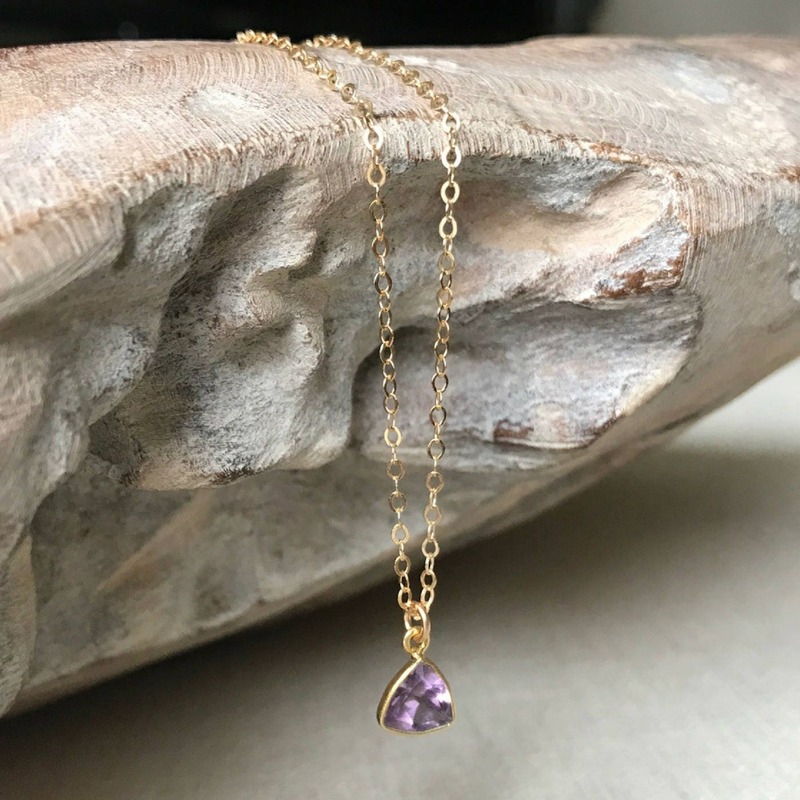 This lovely small faceted trillion cut triangle vermeil amethyst bezel dangles from a gold filled chain. I finished the necklace with a gold filled lobster claw clasp & findings. 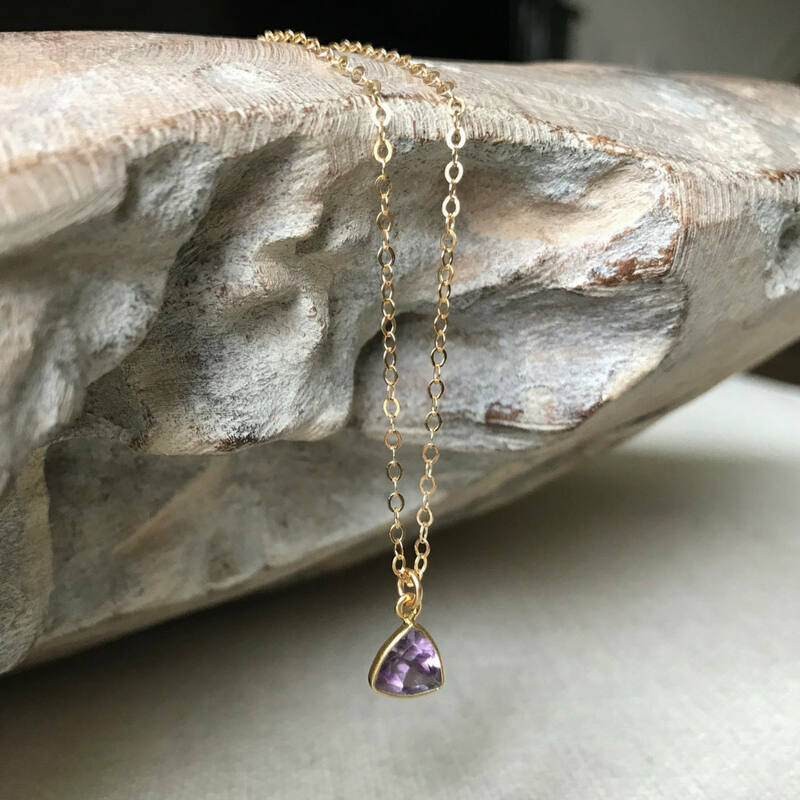 Incredibly dainty and elegant for day or night. 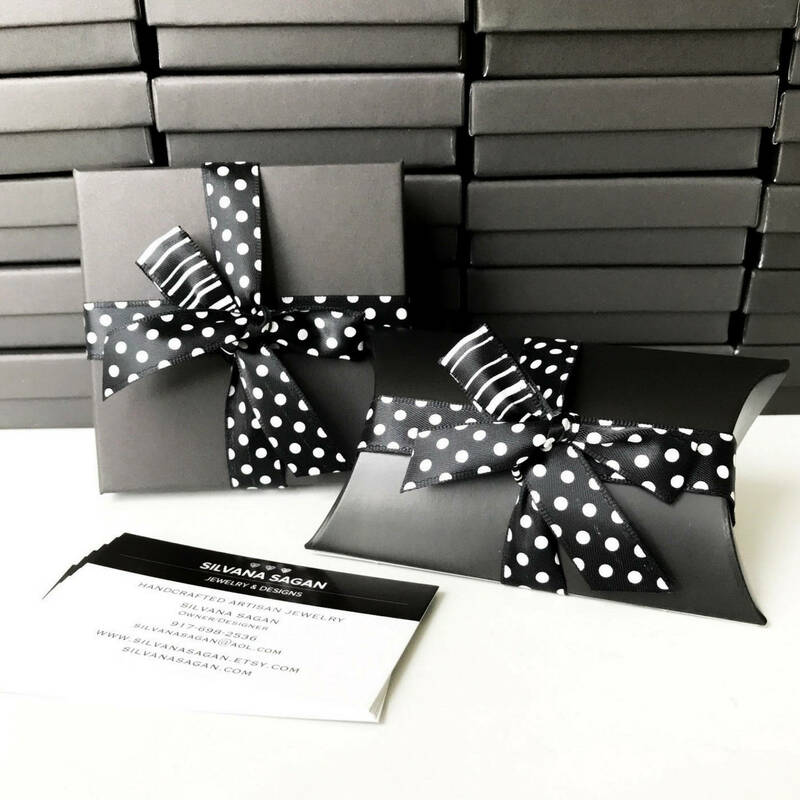 A sweet gift for a February birthday girl! Please select your preferred chain length of 16" or 18" from the drop down menu above. 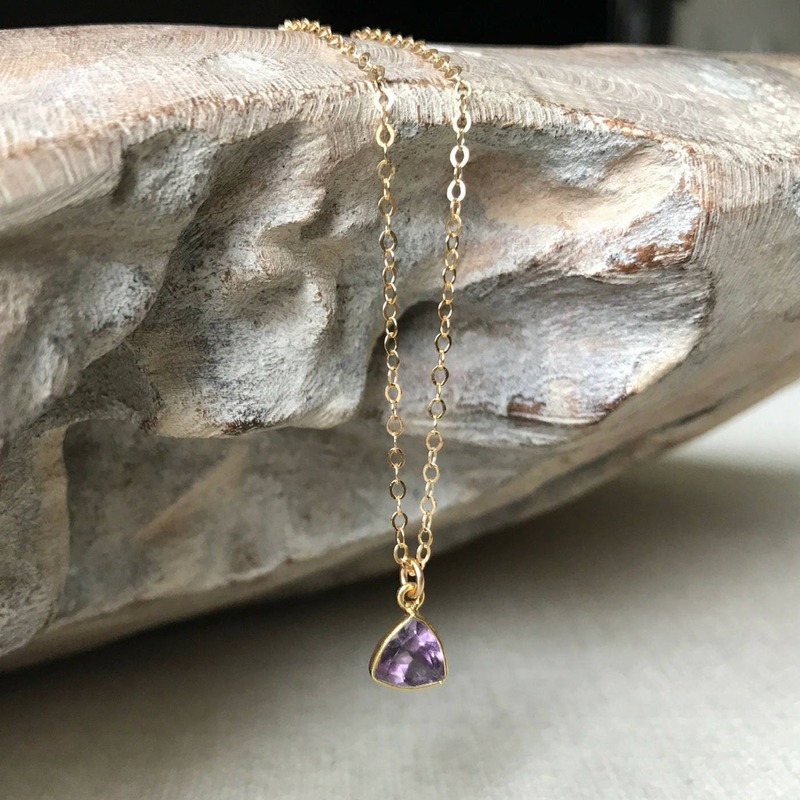 The amethyst triangle bezel is approx 8mm and is faceted on both sides with a flat front flat and pointed back.